Outsourcing is quite a nice way to solve a problem, bringing in ideas from outside of the usual pool. 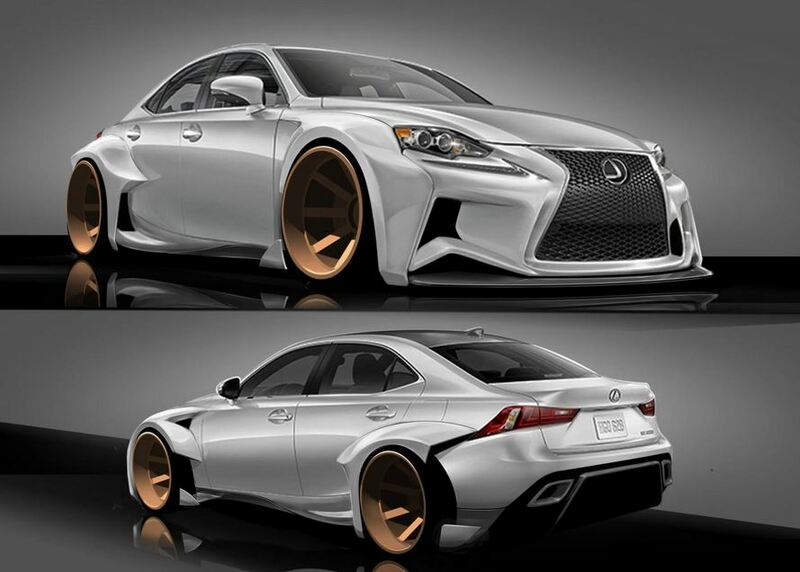 This was the path taken recently by Lexus when they needed to come up with an IS to present at SEMA. So they issued a challenge some time ago, presenting quite an attractive prize for the one to come up with the best design for a Lexus IS. Now, after reviewing some 600 entries, Lexus finally chose the winner, and he is Rob Evans of Seattle. His design presents a nice interpretation, with a new body kit all around, giving the vehicle a more aggressive look. Extended wheel arches house some unique wheels, and the front grille somehow resembles Lexus’s recent LF-CC concept. For his talent and vision, Rob will receive not only just the 2.000 USD cash prize, but lexus will also set him up with an all expenses paid trip to Vegas and a one year lease on a 2014 IS unit.